Web analytics tools belong to a category of programs that helps people understand their Internet customers’ priorities well to satisfy them better. These applications basically generate a set of statistical reports that showcase web search trend in a robust quantitative fashion. Web analytics is a subcategory of analytics in general, which has been the bread and butter of the entire web service industry in the recent times. Web analytics service is a very special kind of engineering which deals with the psychology of the users by extracting relevant data from the system. To pick the best analytics tools from the given collection, you need to compare the services from different perspectives. There are, without a doubt, many web analytics tools available in the market, but while choosing the best-fit for your purpose, you need to be choosy. If your budget is quite stringent, then think no more. Go for the free web analytics tools. And surprisingly enough, the open web analytics tools often provide with quality services as a matter of fact. But don’t be too seduced by these if you’re thinking long term. Paid web analytics are best when it comes to the frequency of updates. But at the end of the day what matters is what results you get out of these. Google Analytics is one of the pioneers in the field of web analytics. It originated with the idea of letting the websites become aware of their customers’ or visitors’ whereabouts. Visitor traffic is an ever-changing phenomenon for any website and it gets more complex as no two users think in the same way. Google Analytics analyzes these traffic streams to get you a whole picture of what your users crave for the most. And it generates beautiful real-time reports to demonstrate this aspect. As a result it helps to improve your website’s integrity and conversion rates leading to a much better customer satisfaction quotient. Yahoo Web Analytics stores data in raw form keeping a non-aggregated appearance. These designs help it to go much further than an ordinary reporting tool. It is a very powerful data analytics tool with high customizability and flexibility. It helps to improve the user satisfaction of any website by analyzing the loopholes and neglected parts of it. It enhances the conversion rates and as a result the entire conversion metrics which improves the integrity of the website as a whole. The reports generated are to help the designers of the website get a better grasp on the extensible design issues almost in real time. Clicky has got many-a-reasons to be used extensively. First of all, Clicky serves you with an amazing real time suite which actually updates everything in real time. It differentiates each user from the other attaching all of his/her information as a single chunk. If you are interested with a user having a specific username, the results are just a click away. A heatmap highlights the zones of a website that a user has looked up the most. Clicky generates a complete heatmap for a particular user if you ask for it. The Uptime Monitoring feature of Clicky alerts you every time your website goes offline. Crazy Egg describes itself as a pair of x-ray spectacles which enables you to keep a cost-effective surveillance on the visitors of your website. It offers a great deal of analytics like which part of your website interests people the most, where the visitors are coming from or what do they click on most of the time. Moreover to set up this tool all you need is a couple of minutes on your hands with absolutely zero technical knowledge to be precise. The reports generated by this tool help you prioritize your system more effectively improving the conversion rates to such an extent that you won’t be able to believe the outcome! Compete is a platform which provides with a plethora of products which help you improve your website’s analytics. This collection includes products like Online Conversion Insights, Online Channel Effectiveness and Mobile Behavioral Intelligence only to name a few. 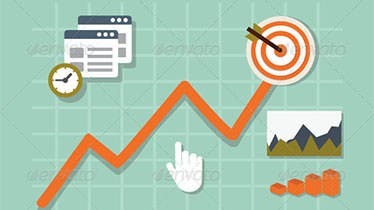 Online Conversion Insights mainly enhances the conversion rates and conversion metrics as a whole.It improves the buyers’ engagement along with the online market share. On the other hand Online Channel Effectiveness helps you measure your referral partners, improve customer loyalty while inculcating an inherent actionable intelligence in your system. Mobile Behavioral Intelligence takes care of the mobile applications of your platform with its main focus on Mobile Search Intelligence. It is a web optimization tool whose main task is to help any website improve its conversion rates and as a result the customer satisfaction in general. Google Website Optimizer is a free tool that can be used at multiple stages for analysis within a conversion funnel. HTML elements can be manipulated very efficiently with this tool. Optimizely has a very easy implementation which doesn’t take more than a couple of minutes to start working with. Its visual editor doesn’t need any coding ability and the ease of using this rich interface is one of the most lucrative features of this analytics tool. It generates real time reports in a seamless fashion providing multichannel optimization facilities for both mobile and web applications. But this list is yet to reach its end. Optimizely has a wonderful support team which is constantly struggling to take the customer satisfaction to a newer height. Last but not the least, the most exciting features of Optimizely are its scalability and speed for sure! When you have a sufficient budget, it’s always better to go for KISSmetrics than Google Analytics. You must be surprised, but KISSmetrics comes with a lot of advanced features that empower your analytics to an extent which Google Analytics is yet to reach. KISSmetrics enhances your conversion rates only by looking at factors like leads, registrations, log-ins, sign-ups or purchases. It keeps the digging to itself relieving you from all the hassles of delving deeper into the reports. KISSmetrics is intelligent and self-sufficient. It follows a person’s journey throughout the website to take actions while other analytics tools only recommend them. 4Q survey is basically a questionnaire consisting of four most important questions, answers to which every website-owner craves for the most. It is a permission-based on-exit survey to judge the visitor’s satisfaction level. The survey is not going to interrupt the user while making any decision or proceeding to the shopping cart. If it doesn’t fit your parameters don’t go for it, but this way users feel more comfortable and at ease while answering the questions than being interrupted while making a crucial decision. 4Q generates a customer satisfaction report on the basis of the feedbacks over a period of one month or one week. ClickTale is a web analytics tool which tracks all your visitors and their activities starting from mouse-movements and ending up at the most-viewed pages by them. You can actually watch the videos of these activities later on! But the most fascinating thing about this tool is how efficiently it retrieves the intent of any user from these recordings and presents them through lucid reports. The tool tells you about the part of your website’s content that the users are paying the most attention to and which part gets neglected in general. This helps to maximize the conversion rate and usability of every bit of your website. Woopra is an analytics platform which has been made as dynamic as possible just to serve your purpose more efficiently. This application is so customizable, that just upon setting it up properly it’ll feel like a tool of your very own. All your visitors’ data are updated in real time and the accession methods seem like a mere cakewalk. Irrespective of the hardware applications (TVs, smartphones, tablets, PCs etc.) that your users are using, FoxMetrics can collect and analyze all the traffic data. These reports are not just to get you an overview of your users’ activities but can be used to improve your applications further. And moreover FoxMetrics updates all the info in real time. It’s a very unique web analytics tool which doesn’t let you miss a single detail about your users by recording videos of each of their actions while using your website. Actually the tool’s goal is to let you know the loopholes of your website where the users are getting stuck and to help you improve your conversion rate. The most interesting thing about GoSquared is its providence of ease in both data retrieval and web analytics. You actually won’t have to take a bit of hassle while setting up the tool and even when in use. GoSquared monitors your website in real time and tracks the behaviors of your users while they interact with your website. ‘Gauges’ is a web analytics utility which updates its visit count whenever a new view dives in. You don’t even need to refresh the dashboard. It has no access control lists and maintains a very simple yet safe data retrieval system. Gauges offers a free trial for 7 days and its premium packages start with a meager amount of $6/month. StatCounter is a free web analytics program which is quite different from its rivals. The information about your site traffic streams is stored in a password protected account which needs to be opened to retrieve relevant info of any sort. It has a very typical feature called invisible tracking which doesn’t let others know about which analytics tool you actually use. Chartbeat is an analytics tool which creates reports in real time. It will let you know through every possible means when your traffic peaks, your site slows down and even when a server crashes in your system. Actually it does much more than the traditional analytics by observing how people are actually interacting with your content. AWStats is a log analyzer which reports mail server, ftp and web statistics in a graphical way. It is either a CGI or a command prompt application which often treats a large log file partially to output the analysis in no time. It is a free software package under the GPL license and can work upon the logs generated by various applications like WebStar, IIS and Apache. Site Meter is a strong web analytics tool. Its efficient reports offer you with the detailed account of any visitor of your website. These reports not only provide information about the name of the visitor, their residences or the number of times they’ve visited your site, but also help you know their areas of interests more thoroughly. GoStats tracks all the information about the users that hit your website and also gather data about their residences. GoStats offers multilingual support, bonus rates calculation and also helps to generate reports in real time. GoStats reports are easily readable but they are not that efficient in tracking the events performed by the users, like downloads or RSS feed subscriptions. Piwik is a free and open source web analytics tool which empowers you to know the behaviors of your subscribers more efficiently. Piwik keeps track of the referrers from whom the users are being redirected to your website and the frequency of visits for each user. It also lists the most popular pages. 21+ Responsive Testing Tools for Your Websites! 10 Websites To Download iPhone Ringtones! 21+ Web Analytic Tools & Real-Time Tracking!